As the mentor to the young Fourteenth Dalai Lama, Trijang Rinpoché became one of his most trusted confidants. Rinpoché’s status gave him a front-row seat to many of the momentous historical events that befell Tibet. He observes the workings of Tibetan high society and politics with an unvarnished frankness, including inside details of encounters with Mao Zedong, Jawaharlal Nehru, and Pope Paul VI. Most widely known as a yogi with profound, lifelong religious training, Trijang Rinpoché was also a statesman, a preserver of culture, a poet, writer, and artist. 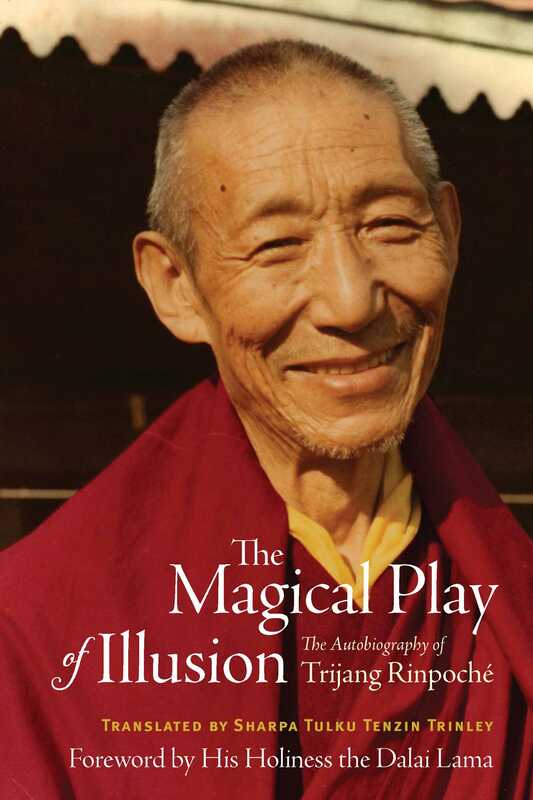 His autobiography is a beautifully written account of Tibetan life in the twentieth century, including intimate details about the upbringing of the Dalai Lama. "Not only was Kyabjé Trijang Rinpoché (1901–81) a tutor to His Holiness the Fourteenth Dalai Lama, he was also the root guru of a great many of the lamas responsible for introducing Tibetan Buddhism to Westerners beginning in the 1960s. This autobiography—documenting his extensive learning and his tireless deeds disseminating the teachings he had mastered—will therefore prove inspiring and invaluable to those who have benefited, both directly and indirectly, from this transmission of insight. It is also highly recommended for the background it gives to this transformative period of twentieth-century history." "Kyabjé Trijang Rinpoché, the junior of the two great gurus of the Dalai Lama, was universally recognized as one of the greatest Buddhist tantric masters to escape to India following the Chinese Communist invasion of Tibet in the 1950s. He was also amazingly humble and down to earth. His story is not only a personal autobiography but a glimpse into the beauty and wonder that was Tibet. It is a story filled with emotional peaks as high as the Himalayas and the emotional lows that came with the loss of homeland and subsequent destruction. A must read for anyone interested in Tibetan culture, history, and spiritual life."